Ah, summer. It’s finally arrived; and what better way to enjoy the sunshine and carefree days of the season we’ve all be desperate to enjoy than behind the wheel of a drop-top, cruising under blue skies? Enter the 2018 Chevrolet Camaro. With a modernized retro exterior design, plenty of engine and feature options, as well as a top that drops automatically at the touch of a button or via the key fob, this American muscle car is the perfect summer companion to fully enjoy the warmer months. The 2018 Chevrolet Camaro Convertible looks a bit like a real-life Hot Wheels model with its racy, muscular exterior design and host of available paint colours and hood stripe decals. 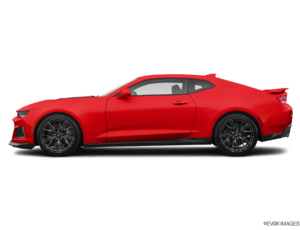 However, if the regular lineup of Camaro models aren’t Hot Wheels enough for you, for this model year Chevrolet is offering up a Camaro Hot Wheels Edition in celebration of the toy-car company’s 50th anniversary making kid’s car dreams come true. With a unique look, and plenty of power, the Camaro Hot Wheels edition is definitely a head-turner. With six models to choose from in the 2018 Camaro Convertible lineup, there’s definitely something for everyone and every budget. And even if you go with the base model 1LS you’ll still drive away with a 6-speed manual transmission coupled with a 2.0L turbocharged mill that produces 275 horsepower and 295 lb-ft of torque (or there’s also an available 3.6L V6 good for 335 horsepower and 284 lb-ft of torque). 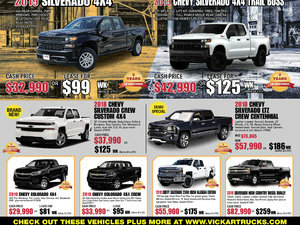 If power is the name of the game, and you really want to feel the wind in your hair while behind the wheel of your 2018 Chevrolet Camaro convertible, then you’ll want to opt for the top level ZL1 version that not only beefs up the exterior toughness with aggressive styling all around, but also comes equipped with a 6.2L supercharged V8 engine that punches out 650 horsepower and the same amount of torque, and comes with a 6-speed manual transmission as standard. However, an 8-speed automatic transmission with paddle shifters is available, should you desire. There’s also an available non-supercharged version of the 6.2L V8 that produces 455 horsepower and the same amount of torque. Inside the 2018 Chevy Camaro Convertible you’ll find available 4G LTE wifi connectivity, as well as a standard 7” touchscreen with Chevrolet MyLink and Apple CarPlay and Android Auto. The ZL1 offers available Recaro seats, as well. 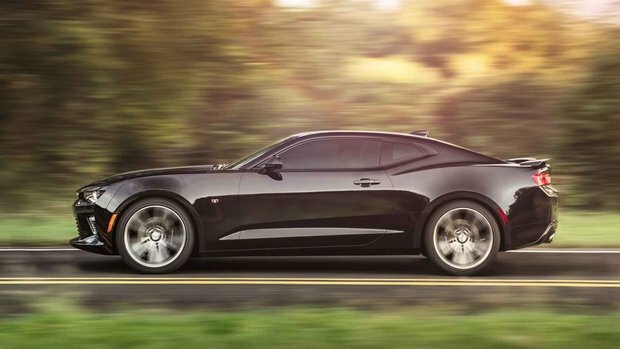 To find out more about the 2018 Chevrolet Camaro convertible and how you can really enjoy those sunny days, head down to your local Vickar Chevrolet to speak to one of our experts, and don’t forget to book a test drive, too.